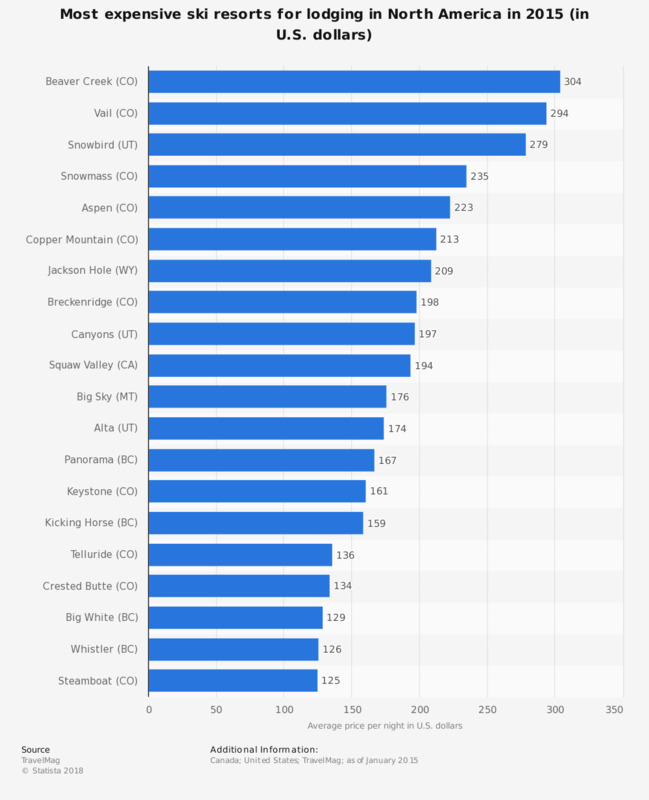 This statistic shows the most expensive ski resorts for lodging in North America during the busiest months of the ski season, February and March 2015. The Beaver Creek ski resort, located in Colorado, had the most expensive accommodation with an average price of 304 U.S. dollars per night. Figures were calculated by averaging the price of the least expensive double room during February and March 2015. According to the source, data was collected from hotels or condos with at least a 3-star rating.